We chiefly engaged in the business of manufacturing, exporting, and supplying industrial Roof Extractor Fans , Roof Mounted Exhaust Fan. Designed to perfection, our industrial Roof Extractor Fans, Roof Mounted Exhaust Fan provides proper air ventilation by removing accumulated heat, humidity and polluted air. Made using innovative technology and premium raw materials, these Roof Extractor Fans are better than the conventional exhaust systems. The Roof Extractor Fans offered by us is widely preferred for some striking features like excellent designing, smooth functioning, easy installation, and longer service life. Furthermore, the clients can obtain these superior grade industrial Roof Extractor Fans, Roof Mounted Exhaust Fan, at very reasonable rates in the markets. Working Principle Of Roof Extractor Fan The roof extractor operates by harnessing the full velocity energy of the wind, to induce airflow by centrifugal force. During rotation, the centrifugal force created, draws the air in the turbines towards the spinning vanes and out of the turbine. The airfoil vanes act as cups, catching the wind at the windward side of the turbine. Simultaneously air is forced out at the leeward side creating continuous airflow; giving rise to ventilation. 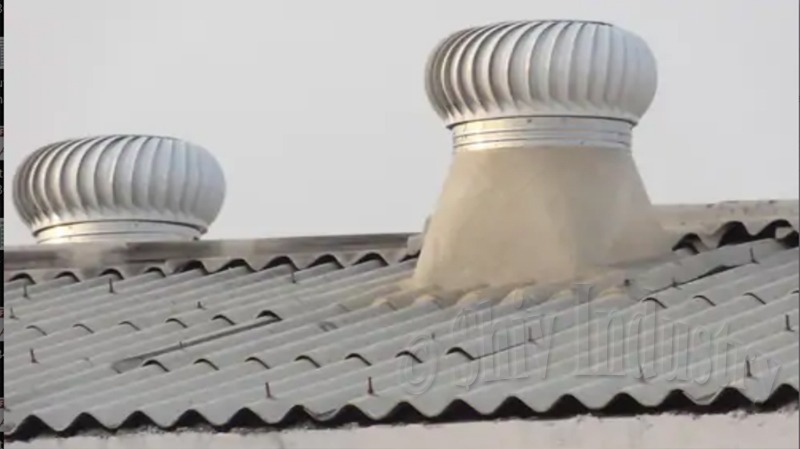 Unlike doors and windows, these wind driven roof extractors, draw air upwards, creating convection current and in the process, they extract stale air, with air which is hot due to the building exposure Advantages Of Roof Extractor Fan : Unique design prevents the air to enter from top, hence creating an un-directional flow of air Complete assurance of air ventilation Maintains hygienic conditions by removing foul smell Environment friendly It is Leak proof, hence does not allow water to enter inside Easy to install on existing old ro.